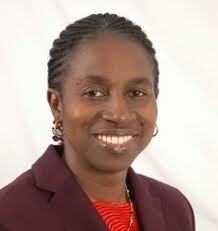 Dr. Grace Bediako is the government statistician in Ghana. Even though the two-week deadline set to count every Ghanaian as part of the 2010 Population and Housing Census (PHC) has elapsed, the Ghana Statistical Service (GSS) says it will not stop the exercise until it is finished. This decision leaves enumerators confused with no tentative date for the extension. “We do not want to give anymore deadlines. We are working till the last person is counted,” Michael Adu-Gyamfi, Public Relations Officer of the GSS, said yesterday. According to media reports, less than half (45 per cent) of the estimated population of Ghana had been counted by October 10, 2010 when the exercise was expected to end and people have expressed concern about the slow pace of the exercise. The National Census Secretariat had projected to undertake the enumeration within two weeks ending October 10, 2010 but shortage of census materials, heavy rainfall in some parts of the country, and the unco-operative attitude of some sections of the public, had posed serious challenges to the exercise. In a telephone interview with DAILY GUIDE yesterday, Mr. Adu-Gyamfi said the Ghana Education Service (GES) had given all teachers helping in the counting to continue until the exercise was completed. Mr Adu-Gyamfi said the GSS had already sat down with the enumerators to discuss the issue of remuneration hinting that the extension of the exercise would not affect the enumerators. Most people polled by DAILY GUIDE said they have not been counted, giving credence to media reports that only 45 percent of the population had been counted by the close of the exercise on Sunday. Sources said the problem stemmed from the late release of money for the programme as well as the replacement of the ‘real enumerators’ with NDC foot-soldiers who were not trained for the exercise. This paper learnt that but for the intervention of financial institutions which were made to provide $1million each, the exercise would have suffered a serious set back. The last time Ghana organised a Population and Housing Census (PHC) was in the year 2000, when 18.9 million people were counted, while a later mid-year estimate in 2009, counted 23.4 million people. After some initial hitches in selecting a date, the 2010 PHC started on September 26, 2010. The two-week 2010 Census is estimated to cost about GH¢70 million. GSS says about 60,000 enumerators had been trained to conduct the census.